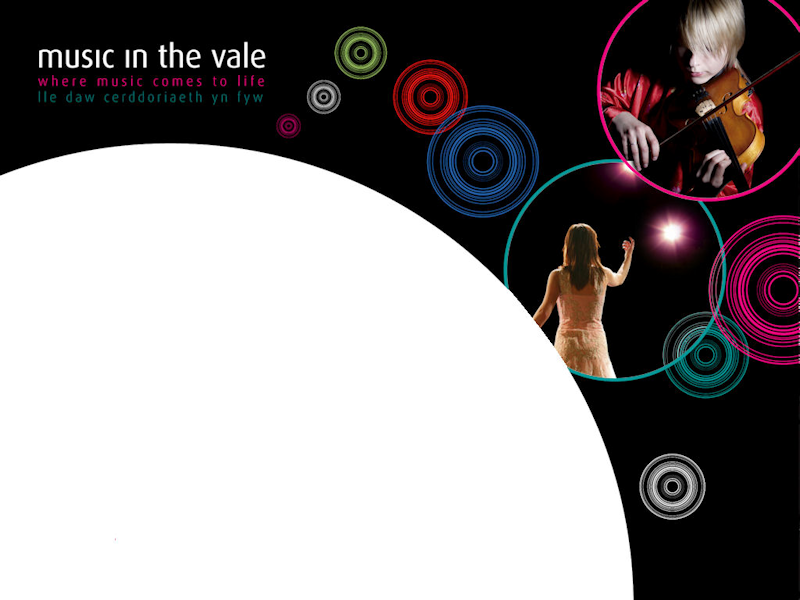 Music in the Vale has been very fortunate to have had the support from the Adjudicators listed below in 2006. Euros spent most of his childhood in West Wales and was a pupil at Whitland Grammar School. He later gained a music degree at The University College of North Wales, Bangor and a Piano Diploma at The Royal Academy of Music, London. He was initially appointed as a member of the very successful music department at Ysgol Gyfun Llanhari in Mid Glamorgan to be promoted, shortly to the post of Head of department from 1984 - 1987. He then became a freelance musician, and worked as composer, arranger, producer and director in this field. He produced various series for BBC Wales education (radio), including Pop a Chlas and Sioe Gerdd. In 1996, he was awarded a BAFTA Cymru award for ‘the best original music for film and television’ category for the BBC film, ‘Streic’. He has been commissioned to compose various musicals for the National Eisteddfod, National Urdd Eisteddfod, National Theatre, choirs and schools, etc. His composing for television includes very prestigious period drama series including ‘Y Palmant Aur,’ and the feature film, ‘Nel.’ From 1998 - 2005, he was responsible for the whole musical content of the television series for S4C, ‘Dechrau Canu, Dechrau Canmol.’ In addition, he was also a single and multi camera director and producer for the series. Euros adjudicates for national and regional musical festivals, including the Music for Youth Festival held annually at the Festival Hall in London. He is also a member of the ‘Live Music Now’ Wales Panel in Wales. He has recently been awarded a Fellowship by the University of Wales, and appointed a lecturer in the Theatre, Music and Media department of Trinity College, Carmarthen. Since 1993, he has been an examiner for the Associated Board of the Royal Schools of Music and has examined in Taiwan, China, Canada,U.S.A. and most European countries. In 1998, he was appointed as a trainer for the A.B.R.S.M. and is part of the team responsible for the training of future examiners for the Board. A native of Wales’s capital city, Alun graduated from the University College of Cardiff and taught in Pontypridd before heading back down the A470 to establish the Music Department at Ysgol Gyfun Glantaf in Cardiff. He is now Chief Music Examiner for GCSE in Wales and welcomed the opportunity to introduce a Welsh dimension into the WJEC examination specification. Last year he published a Student’s Guide Book for Wales’s GCSE music examination and was commissioned to write two books on contemporary Welsh Singers including Katherine Jenkins and Bryn Terfel. The name Alun Guy became synonymous with leading his Cardiff Aelwyd Mixed Choir to unprecedented choral successes at the National Eisteddfod when they scooped all three major prizes to establish an all-time record. He was conductor of both the Cardiff and the Newport National Eisteddfod Choirs and is proud that the two Philharmonic choirs formed from these Eisteddfod choirs are still performing regularly. He is the music editor of the National Eisteddfod and a member of the music committee. As a choral, orchestral and Cymanfa conductor, Alun has directed performances all over the world, including, Melbourne, Patagonia, Barbados, Frankfurt, Barcelona and North America. His television and radio work here in Wales include regular broadcasts with ‘Dechrau Canu’ and ‘Caniadaeth y Cysegr’. He adjudicates regularly at both the National and the Urdd National Eisteddfodau. He was inducted in 2000 into the Order of the White Robes of the Gorsedd of the Bards in recognition for his services to music in Wales. Engagements this year included adjudicating at this years National Eisteddfod in Swansea and at next years National in Mold, as well as adjudicating at the Urdd National in Carmarthen in 2007. In October of this year Mr Guy returned to Patagonia for the third time to adjudicate at the Eisteddfod in the Welsh settlement in Patagonia, South America, and conduct the Cymanfa Ganu. Is Professor and Head of the School of Music, Cardiff University. Educated at the University of Cambridge (MA, PhD) and at the Royal Academy of Music, where he was Leverhulme Scholar, he made his London solo debut as a violinist at the Purcell Room in 1974 and has performed throughout the UK as a soloist and chamber musician. He was also for many years a regular member of Christopher Hogwood’s period-instrument ensemble The Academy of Ancient Music, and he has participated in numerous radio and television broadcasts, as well as commercial recordings. He is currently leader of the Welsh Sinfonia, the English Baroque Soloists and various festival orchestras and ensembles, and he has played regularly with the Orchestra of Welsh National Opera. He was elected ARAM in 1990. Robin is also well known as an examiner, adjudicator, author and editor. His book Violin Technique and Performance Practice... (Cambridge University Press, 1985) was a pioneering work in its field, and he has since published widely on issues of performance practice, organology, music of the ‘long 18th century’, chamber music and string playing in general. His more recent major publications include The Early Violin and Viola: a practical guide (CUP, 2001) a monograph on Beethoven's Violin Concerto (CUP, 1998), and a co-authored volume (with Colin Lawson) on historical performance (CUP, 1999), the first of a series of which he is a co-editor. He is editor/principal contributor for three Cambridge Companions (to the Violin (1992), the Cello (1999) and the String Quartet (2003)), Performing Beethoven (CUP, 1994), and The Violin Book (Balafon/Outline Press, 1999). He is currently preparing contracted work for the university presses at Cambridge and Yale, is a regular contributor to music journals such as Early Music, The Strad and Double Bassist, and serves on the Editorial Board for Cambridge University Press’s journal Eighteenth-Century Music.